Snippets of Time: Oh Romeo!!! Check out this little cutie "Romeo". Isn't he just so adorable?? Cute card, I love Romeo- hes a doll. Oh he turned out so cute!! love this!! awwww! Shux! I love this image! Awesome job!!! What a GREAT interpretation on my design! That's how I always feel about my Sunshine! Gorgeous card! Amazing coloring of Romeo! Love everything about your card! The punches you used are awesome! Spectacular job! 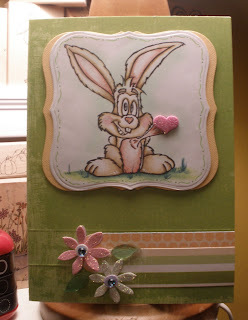 Great job coloring and I love the colors of the card too! I just love this card! I always seem to gravitate to these colors.